Thousands of people leaped to support a French lawmaker Wednesday after she shared a racist letter addressed to her that insulted her African heritage and threatened her life. 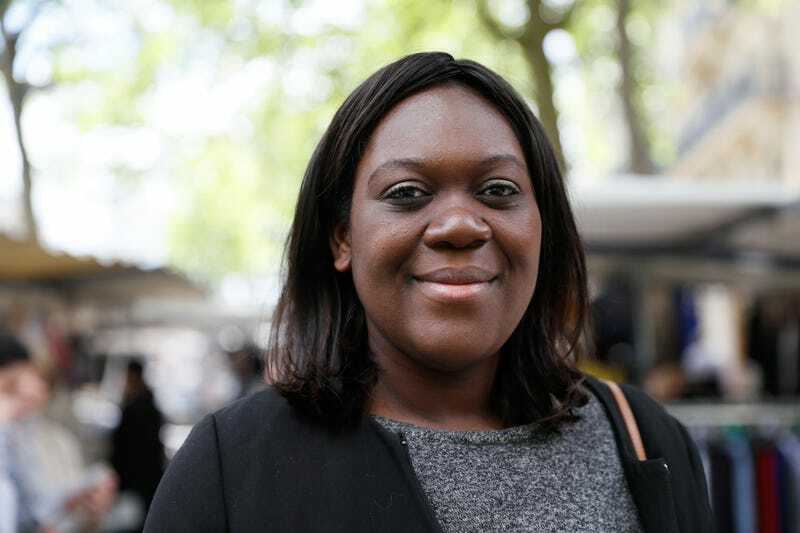 On Wednesday, Laetitia Avia, a member of France’s National Assembly from President Emmanuel Macron’s En Marche movement, shared an anonymous letter filled with racial abuse and threats. The BBC and HuffPost reported on the letter. “We’re not going to let a fat black swine from Africa meddle in the lives of the French,” the letter began. Your media appearances make us sick. You’d be better off working on behalf of retarded African people, who can only think about squeezing money from France. Africa once possessed values, instituted by colonizers, that have since evaporated and been replaced by the depths of laziness. Africans are a cross between monkeys and humans. Your days are numbered, we will deal with you. “And they’re threatening to kill me. We can’t let this happen,” she added, along with the hashtag #NeRienLaisserPasser, French for “Don’t give an inch.” The phrase refers to a government campaign, led by Avia’s party, condemning violence against women. As HuffPost notes, in using the hashtag, the 32-year-old member of Parliament expanded its meaning, leading others to apply it to racial violence as well as gender violence. Racism and xenophobia have come to the forefront in France in recent years. The far right’s influence has surged in France, as it has throughout the West, and brutal beatings and racial profiling by French police have spurred a Black Lives Matter movement in the country. Late last year, a French education minister threatened to sue a teachers union for using the phrase “institutional racism,” and just last week, a mixed-race girl picked to play Joan of Arc in a parade prompted conservative French assholes to flood Twitter with racist abuse.